You didn’t choose to have endometriosis. But you can choose to ask if ORILISSA may be right for you. It offers endometriosis pain tracking, wellness tracking, and tips and life hacks for women living with endo. 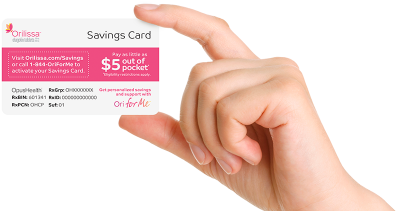 If you qualify, you could pay as little as $5* a month with the ORILISSA Savings Card.